He surveyed the St Lawrence River in 1759. In three voyages, 1768 - 1779, he charted the coasts of New Zealand, the East Coast of Australia and the Pacific Coast of North America. 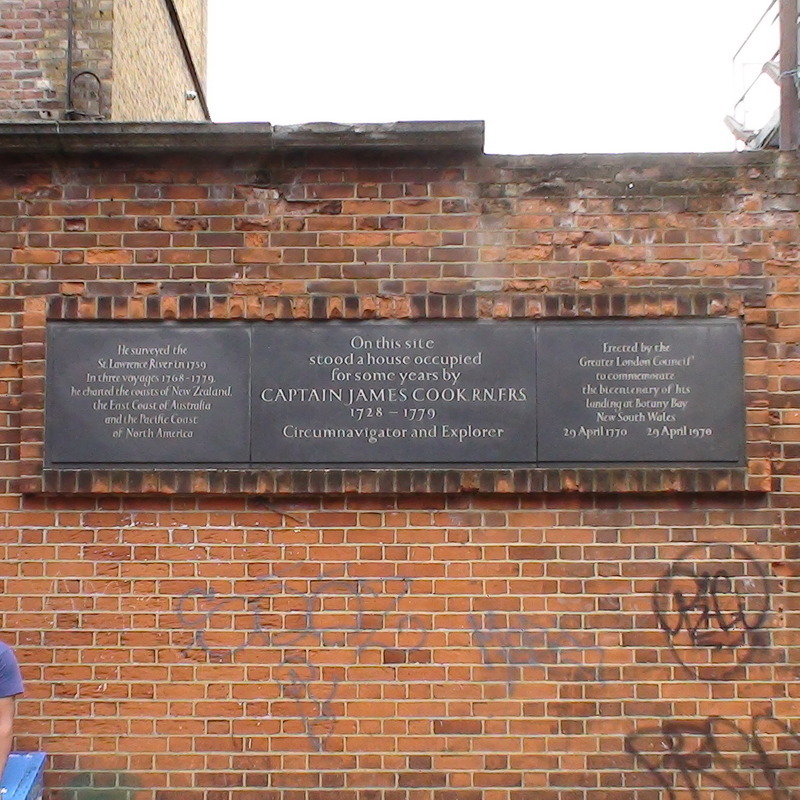 On this site stood a house occupied for some years by Captain James Cook, RNFRS, 1728 -1779, circumnavigator and explorer. 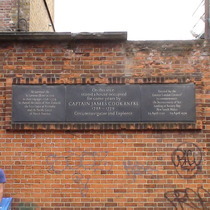 Erected by the Greater London Council to commemorate the bicentenary of his landing at Botany Bay, New South Wales. 29 April 1770 - 29 April 1970. English Heritage Thomas Arne, 1710 - 1778, composer, lived here.